Ross (hip) was waived from the Panthers' injured reserve Tuesday, Ian Rapoport of NFL Network reports. Analysis: Ross reverted to the Panthers' injured reserve in mid-August after being waived/injured with a hip injury. He's now free to sign with any team, pending a physical. Ross (hip) cleared waivers and reverted to injured reserve, according to the league's official transaction log. Analysis: Ross was waived over the weekend due to an unspecified hip injury. Barring an injury settlement, the receiver is likely stuck on IR through the end of the league year. Ross (hip) won't play in Friday's preseason tilt against the Dolphins, Joe Person of The Charlotte Observer reports. Analysis: Ross hasn't seen game action since coming off of the Physically Unable to Perform list earlier last week. He's fighting for a depth receiver and special teams role and each rep he's forced to miss hurts his chances. Look for Jamaal Jones and Rasheed Bailey to see some extra snaps with Ross out once again. Ross (hip) was removed from the PUP list Tuesday, Joe Person of The Charlotte Observer reports. Analysis: Ross opened up training camp on the PUP but now appears to be good to go after passing his physical Tuesday. It's unclear whether Ross is going to make a full return to practice right away, but there should be an update on his status at some point this week. 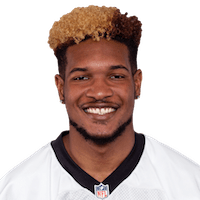 Ross (hip) was placed on the Panthers' Physically Unable to Perform list Wednesday, Joe Person of The Charlotte Observer reports. Analysis: Ross recently underwent hip surgery and is without a timetable to return to the field. The second-year wideout will compete for a depth role in the Panthers' crowded receiving corps once he's healthy again. Head coach Ron Rivera said Ross (ankle) remains in rehab from offseason surgery, Hank Lee of WCNC reports. Analysis: Ross hasn't gotten much work in during spring workouts, though he's frequently been seen working with trainers on the sidelines. It isn't clear if he's expected to be back to full health in time for training camp. Regardless, the undrafted second-year receiver faces an uphill climb to winning a roster spot in Carolina. There are no videos available for Fred Ross. Click here to view all videos.